Thinking about a new marketing strategy? 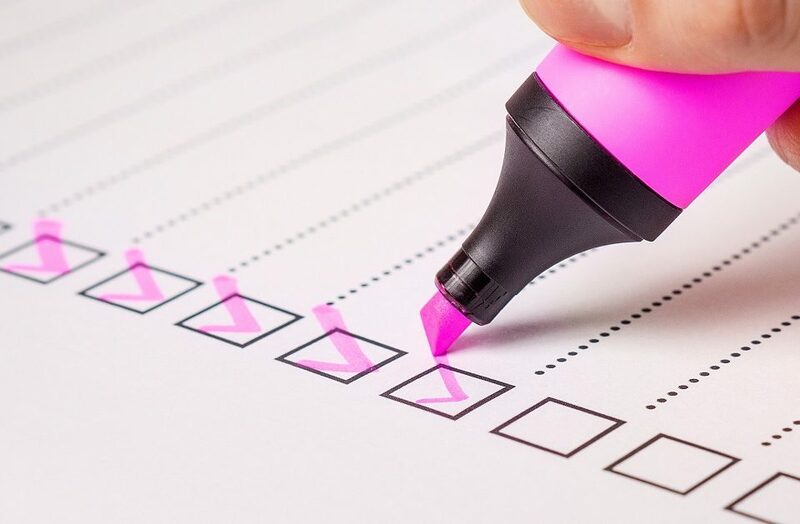 If you are considering changes to your advertising and marketing strategy this year, first make sure you are reaching your audience where they are spending their time. And it’s not reading the newspaper. This infographic was so striking to us here at SocialTrend, talk about data overload! If you weren’t convinced before, the obvious conclusion from this data is: Consumers spend incredible amounts of time on the internet and the advertising dollars spent on these platforms are getting big results. 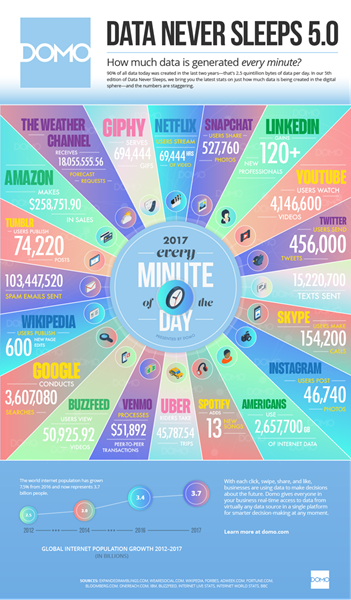 Every minute of 2017 saw 3,607,080 Google Searches. 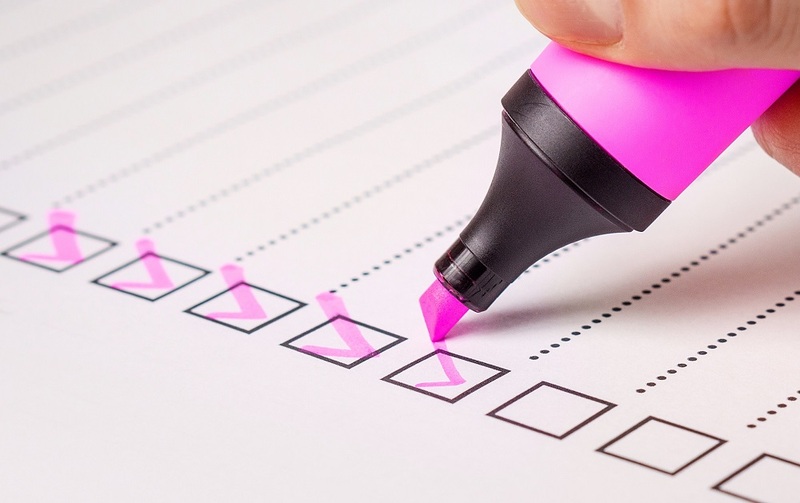 For your business, do you rank well enough in organic or paid Google Ad search results in order for these Google searches to result in new clients for you? The internet population grew in 2017 by 10%. That might seem like a small percentage, but that is 3 Billion people! YouTube users watch 4.146M videos per minute. This translates to multiple ads per minute as well, because the majority of YouTube content has at least 1 paid ad prior to or during the video. LinkedIn gains 120 new professionals every single minute! If your ideal new client is a college educated professional, LinkedIn should be a place you invest. Interesting, Facebook data is absent from this infographic. But don’t fret, Facebook saw amazing growth in 2017. The social media leader saw an increase of 16% over 2016 for both their average daily and monthly user count. Facebook’s advertising revenue increased 49% over 2016 too! That means on average Facebook will have 1.37 billion users daily in 2018 (and growing)! If all of this seems like too much information, have no fear that is why SocialTrend is here! (We just can’t resist a good rhyme.) Let us help you dissect all the data, translate to your business goals and make you a part of these incredible digital marketing results.